As some of you may have seen, recently I published a post on a ‘Quick & Easy Pasta Bake Recipe’ (which can be found here). 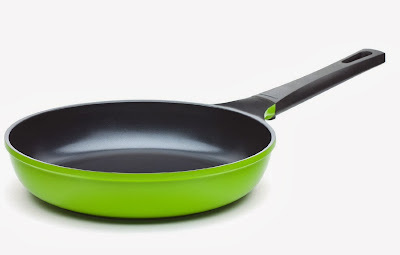 I absolutely love cooking and could not wait to give this new ‘mini’ frying pan a try. Made with a Greblon® Ceramic coating from Germany, this pan is free from PTFE and PFOA (which are non-stick chemicals that can actually be harmful to us when heated!). I’ve used this nifty little frying pan many times over the last week by cooking my family Omelette’s as it’s the perfect size for these! Even my mother has totally fallen in love with this product and uses it at every opportunity she gets; because of the patterned cooking surface it is so much easier to cook with for it’s non-stick qualities and is easily cleanable. It’s also got the cutest colouring (am I allowed to describe a frying pan as cute?!) 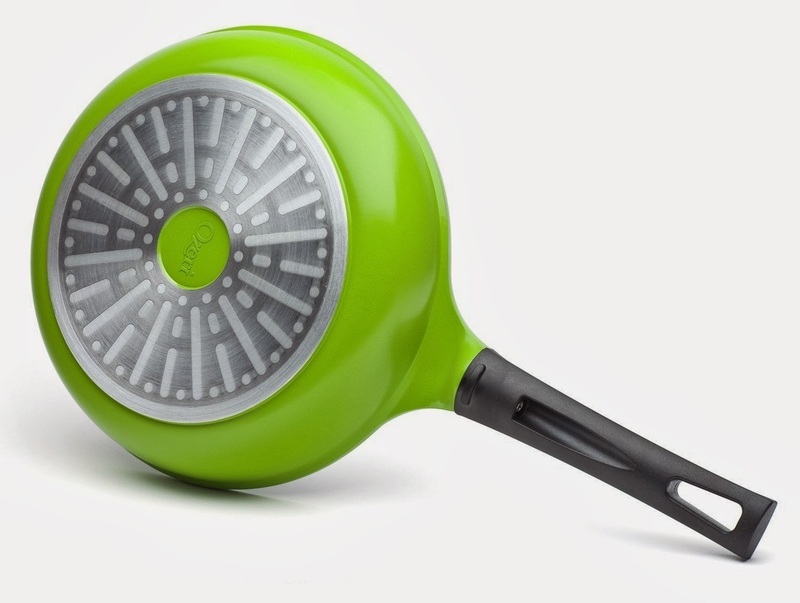 in a very appropriate and ‘earthy’ lime green and has a handle which is silicone coated for extra grip and ease. Overall I think this is definitely a great product for those that love cooking or even for those that love simplicity and ease when it comes to frying. I know for a fact that I will be looking into getting myself one of the larger sizes as well! The Ozeri Green Earth Pan is available in a variety of sizes and can be purchased through Amazon. This 8″ (20cm) Pan comes at a great price of £24.95 – which I think isn’t unreasonable for a great product like this! Has this post persuaded you to give them a go?